Using live tracking for your fleet will allow you to see where your vehicles are directly from your computer screen at any time of the day. In addition to instantly locating your vehicles, you can see where they have been and how fast they were going. Instant alerts can be set up to notify you if the driver goes above a set speed, drives out of an authorized zone, drives aggressively or idles excessively. Live fleet tracking will help you increase productivity and lower fuel costs. Within a matter of weeks, your company will see a fast return on investment. Live tracking allows you to reduce your fleet’s hidden costs which can add money to your bottom-line. You will be able to easily monitor your drivers and your vehicles to find out information that was once unknown. The system works like a virtual manager. When your drivers are off the clock, it becomes a security guard watching after your vehicles. Many companies are amazed when they uncover the percentage of their employees that are conducting personal business while they are at work. The tracking system provides valuable details about where your driver has driven, their start and stop times, total daily miles driven and much more. 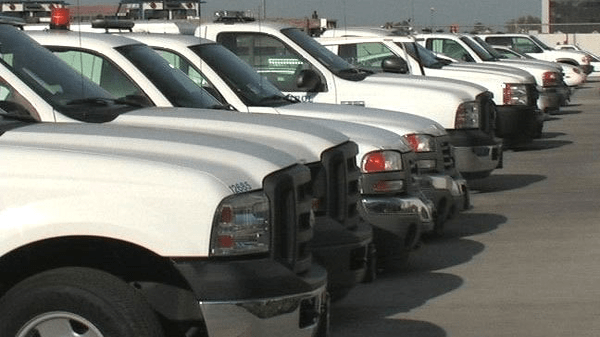 Many fleet managers uncover their employees stopping off with their company assets to service non-customers for cash. Live tracking can also save you money on fuel. The system closely monitors how long your drivers are idling their vehicles. For each hour your vehicles are idling, one gallon of fuel is being wasted. This can really add up over time or with a lot of vehicles on the road. The fleet management software will send you an alert whenever a driver idles excessively so that you have time to have the behavior corrected immediately. You can also run reports with all of the drivers’ idle times. For more information about how live tracking can help your business, Contact Us.